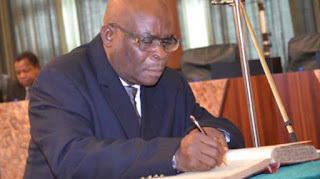 The Code of Conduct Tribunal says it will resume hearing in the case of alleged false asset declaration brought against suspended Chief Justice of Nigeria, Walter Onnoghen. 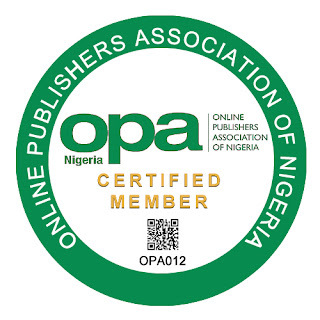 Mr Onnoghen was charged by the Code of Conduct Bureau for allegedly omitting details of his domiciliary accounts in one of two forms submitted to the bureau in 2016, among other offences. He has failed to appear at the two hearing sessions when the matter was called at the tribunal. Following an order of the Court of Appeal, the tribunal chaired by Danladi Umar suspended the trial indefinitely at the last adjourned date on January 22. On Wednesday, the Court of Appeal directed the tribunal to proceed with the hearing after refusing a request by Mr Onnoghen for the trial to be suspended. In response to the appeal court decision, the tribunal on Thursday said it would continue sitting on January 4. The tribunal said its decision followed a request by the CCB for the case to continue. “Conduct Tribunal Fixes 4th February for resumption of alleged Non-asset declaration trial against Hon. Justice Walter Onnoghen. “Following Court of Appeal ruling yesterday on the trial against Chief Justice of Nigeria, Hon. Justice Onnoghen Nkanu Walter, on alleged non-declaration of asset before Code of Conduct Tribunal is hereby fixed for Monday, 4th of February, 2019. “The request reads in part; “The above subject refers. This case came up for hearing of preliminary objection to the jurisdiction of the Tribunal on the 28th of January, 2019 but the Tribunal could not proceed due to the pendency of the case at the Court of Appeal,” the statement said, quoting the communication from the CCB. It added that the latest request by the bureau is therefore in response to the recent ruling by the court of appeal.